Have you ever wondered why weight loss is something that people still struggle within 2019? The short answer is that there are a number of factors at play when it comes to how much weight a person can lose. Genetics, lifestyle and environmental factors all play a part in the way our bodies are composed and there is an almost infinite amount of factoring combinations that are key to unlocking our ability to lose weight. In short, no one thing is going to work for everyone. It is about finding what works best for your body. All some people need to do is watch what they eat and make sure they get a bit of exercise every week in order to keep off the pounds. Others don’t seem to have to do anything to stay skinny. And still, some others can’t seem to lose weight no matter how intensely they diet and exercise. Sometimes in order to lose weight, you need a little outside help. That is where, for some people, weight loss supplements come into play. Weight loss supplements can help by providing a little more support to your metabolism, reduce food cravings and fueling the body with energy. The most effective weight loss pills seem to include ingredients that do all three of these things. Still, that is no guarantee that they will work for everyone. Weight loss is a highly subjective concept. Truvision is one such diet supplement that claims to do three of those important things to help the user lose weight; decrease food cravings, support the metabolism and provide physical energy. Truvision is made by a company called Truvision Health LLC and they create a lot of different products that are mostly geared towards weight loss. 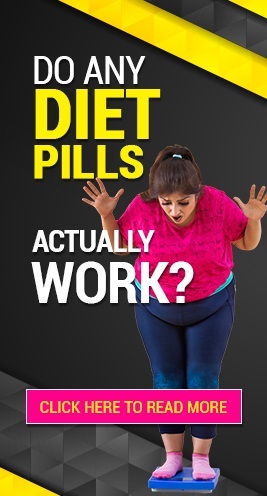 They have come up with a special weight loss system that features two different pills that are intended to work in tandem. The purpose of Truvision is to provide the body with nutrients that will make it easier to lose weight. It is an oral supplement that is meant to be taken on a daily basis for the best results. What are the Ingredients of Truvision? Vitamin B6 – TruFIT contains 100% of your daily recommended B6 intake and B6 can help to process fat by having an effect on metabolism. It may also decrease water retention. Iron – Iron is essential for exercise because it helps your body to create energy from your food. Caffeine – It is believed that caffeine can provide short term energy increases for the purpose of exercise and weight loss. Dendrobium Extract – This botanical extract has been used in supplements for its stimulating effects and its benefits to digestion. Selenium – This mineral has been proven in some studies to result in significant weight loss and fat reduction. Vanadium – This ingredient may hold many benefits for health and weight loss including improved athletic performance, treating high cholesterol, lowering blood sugar and treating edema. Raspberry Ketones – Raspberry ketones may be able to spark the thermogenic process which burns fat in the body. Truvision may provide the user with short-term energy due to its caffeine content. Using Truvision may also result in more weight loss than if the user just tried diet and exercise alone. Truvision may result in a decrease in food cravings as well. Truvision contains Octodrine which has been banned by some sporting agencies for its potential health risks. It has not been definitively proven whether Truvision or any other supplement for that matter can affect a significant change in metabolism. There have been some side effects reported from users who have taken Truvision. The short answer to this question is yes. Truvision comes from a legitimate company that has been around for a very long time. While Truvision does not offer a money-back guarantee, the company itself seems genuine and reputable. You will get what you pay for but with all dietary supplements, there is no guarantee that it will work for you. You can contact Truvision Health LLC to order a sample of their product before you make a larger purchase and they offer healthy tips for weight loss on their blog. “I didn’t notice an increase in energy like advertised. I did notice a loss of appetite but that alone wasn’t enough to help me lose weight” –Scott M.
“After taking Truvision I was able to reduce the number of calories I consumed in a day. I usually snack a decent amount but Truvision has helped me control those cravings.” –Shirley U. Is Truvision the Real Deal? Truvision may be the real deal for you if you need a little bit of help controlling your caloric intake. You should evaluate what it is that your body needs to lose weight carefully and talk to a doctor or nutritionist who will be able to assess its potential benefits for your particular situation. Depending on what your body needs, Truvision may or may not work for you. When trying to lose weight, one of the most important things to keep in mind is that everyone’s body is different. There is no universal solution for losing weight. Truvision offers a specific formula that will work for some but not others. If you need more energy, appetite suppression and a possible way to increase your metabolism, Truvision may be worth a shot. Hopefully, this Truvision Review has been informative and helpful. © 2005-2019 Netspective Media LLC. All rights reserved.